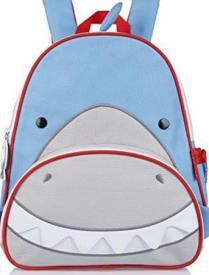 The Skip Hop Zoo Little Kid Snazzy Shark Backpack where fun meets function! Whimsical details and durable materials make this the perfect pack for on-the-go! 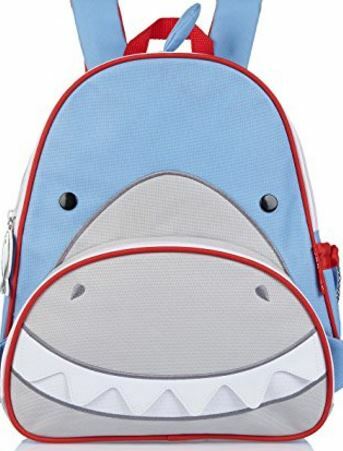 Easily holds all the supplies your preschooler might need for a busy day of "work" and play and the mesh side pocket adjusts to fit a juice box, sippy cup or water bottle. The front pouch is ideal for snacks and includes extra pockets for pencils and other travel necessities. Warnings: Strangulation hazard: Not suitable for children under three years, due to small parts and long cord.